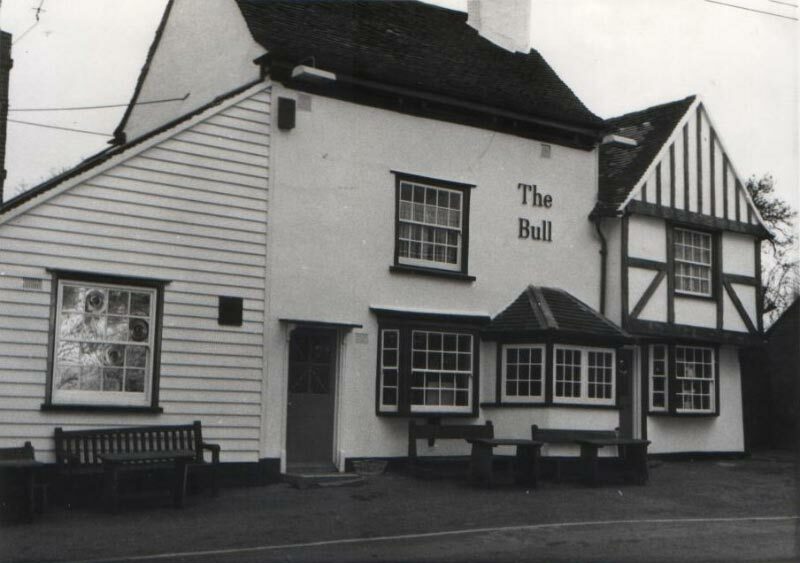 The Bull Inn is one of the oldest houses in Corringham.Its history is vast, but it is original structure dates back as early as the 1600’s. The cross wing on the south with its overhanging gable is the oldest part to the building approximately 500 years old however, the main part dates back to the 17th century. The chimney stack, made of handmade bricks, is set diagonally across the bar together with a substantial oak beam said to date back to 1627. The two ancient fire places were renewed and restored in 1837. There was formally a Dormer window in the roof, but it was demolished when the roof was retiled after a bomb dropped in the courtyard in 1940. 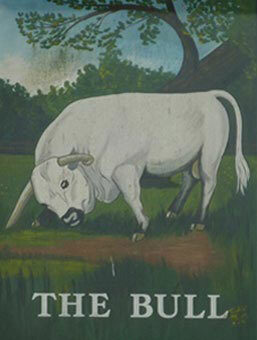 The Bull was originally associated with smugglers, as the pubs direct location was conveniently positioned between a quiet path between Fobbing, Vange and Pitsea marshes, allowing trade of the contraband to be undetected. Later through history, it is thought that the location of The Bull would also be identified as a pilgrims root for travellers wishing travel the Thames to visit the shrine of Sir. William of Perth, found to be in Rochester. There were two pubs in Corringham at the start of the alehouse recognizance in 1769. The Bull was entered for a few years as ‘The Bell’ probably an error owing to the landlord Abraham Bell; however, when Bell ceased to be as the landlord according to the list of alehouse recognizance’s, it took the name The Black Bull. We now cater, for all your party needs, do you have a special occasion you would like us to host? If so, we will be happy to provide a full buffet menu for any requirement you my need.